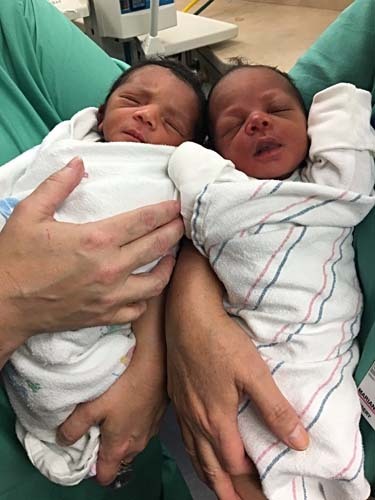 CHICAGO (WLS) -- Twin girls were born at a CTA Red Line station on Chicago's South Side Wednesday. Their mother went into labor right after she went through the turnstiles of the Roosevelt station. Chicago police said two nearby officers heard the commotion and responded. They called the fire department and paramedics arrived within minutes, but the first baby had already arrived. "I wrapped her in a blanket and then handed her off to one of the officers that was there. And that's when she told us there was second baby coming! Again, we clarified to make sure, 'are you sure it's twins?'" said a paramedic who helped deliver the babies. 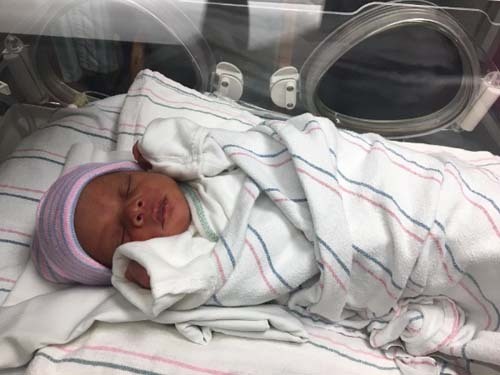 Ja'miyla Giselle and Ju'niyla Brielle and their mom are doing well at Mercy Hospital & Medical Center's Special Care Nursery, the hospital said in a press release. 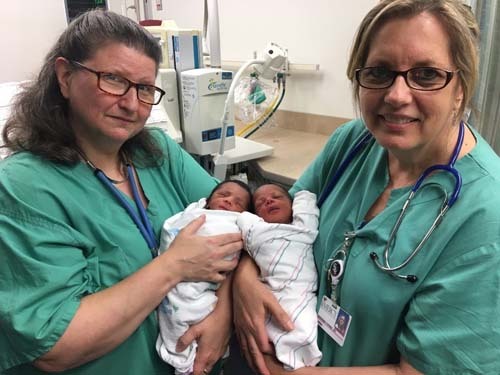 They were born a month early, so both babies were placed into incubators and are expected to be in the hospital for at least a week. 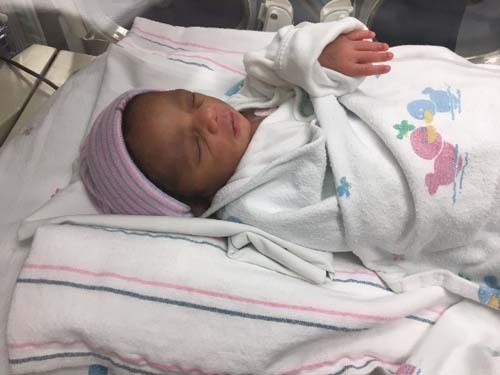 Ja'miyla was born first at 7:30 a.m., weighing 4 pounds, 5 ounces. Her younger sister Ju'niyla arrived at 7:41 a.m., weighing 4 pounds, 6 ounces.